Reviewing short, illustrated case narratives about accidents, injuries, and occupational illnesses based on archaeological evidence from urban antiquity. Archaeologist Barry Kemp of Cambridge University (UK) leads the “Amarna Project” (http://www.amarnaproject.com), an excavation of the ancient Egyptian city of Tell el-Amarna located on the eastern bank of the Nile River approximately 194 miles south of Cairo. Tell el-Amarna was built during the reign of Pharaoh Akhenaten, circa 1349-1332 before the Common Era (BC). 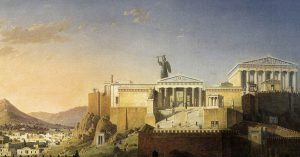 The city was built new from scratch as a monument both to Akhenaten’s new national government and to his controversial religious beliefs; when he died, the site was quickly abandoned. Akhenaten’s government used citizen labor (likely coerced) to build this city. Since the early 2000s, the Amarna Project has excavated more than 400 graves in one cemetery where thousands of the city’s people were buried. This case, and the next two cases below, illustrate the health risks—including injuries and trauma—that these workers experienced. dangerous jobs.” While the sample is only a fraction of the total number of people buried here, due to the careful excavation strategy, the individuals in the study are representative of the total population in the South Tombs Cemetery. Additional excavations might turn up interesting cases, but it would not change the overall patterns of trauma, workload stress, or nutritional deficiency that illustrate the living conditions for this population. The photos above illustrate examples of back problems from degenerative joint diseases (DJD), commonly caused by repetitive excessive pressure on the shoulders, back, and spine that gradually damages the joints and bones. The archaeologists suggested that bone trauma was probably caused by the speed and relentless pressure under which laborers and their bosses worked to build the city quickly. 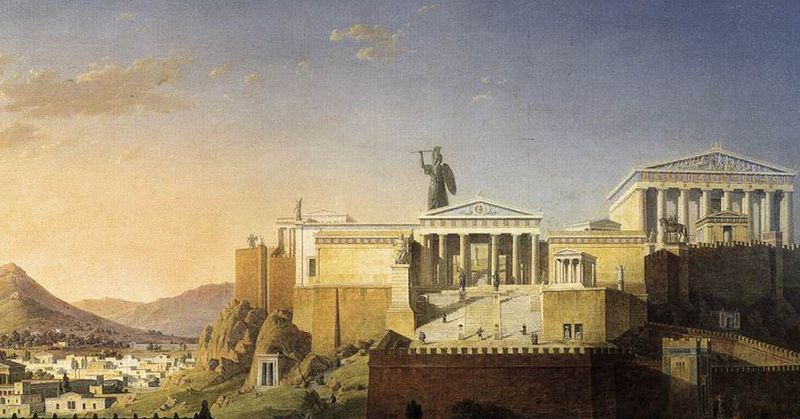 Without modern equipment to move heavy objects, the workers hired to build the city were forced to carry heavy limestone blocks on their shoulders (see image above at far right). Each block weighed approximately 70 kg. (approximately 154 lbs.). 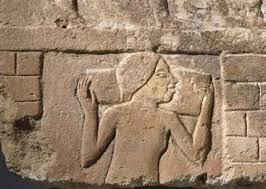 This block illustrating one of the workers, found at El-Ashmunein, probably originally came from a building at Amarna. 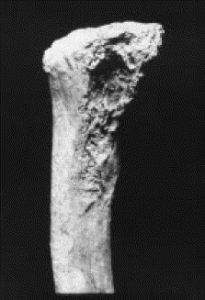 Right femur of a typical 8.5-year-old (on the left of the photo) and right femur of an 8.5-year-old child with delayed growth (photo center). The age determination is assessed with mandibular tooth development (right). Image copyright Amarna Project, used with permission. Delayed bone growth is typical evidence of a variety of potential life stressors; inadequately developed bones can point to life experiences that might include disease, malnutrition, and even psychological stress that occurs during the period when bones are growing. delayed growth, beginning at about 7.5 months and continuing throughout childhood.” These children were most likely the children of urban construction workers (see Cases 1 and 2). They may also have worked as child laborers on the construction sites. These photos illustrate injuries found on the skeletons of two men buried in York, England. The cemetery included more than 80 individuals, each under 45 years of age. All bodies showed signs of extreme violence and physical stress. The archaeologists who excavated the site hypothesized that these individuals were probably gladiators who were in England during the ancient Roman Empire; they might also have included soldiers or criminals. The man whose skull is on the left above was probably killed by the weapon that split his skull; the jaw injury on the right is also typical of gladiatorial combat, but may not have been fatal. 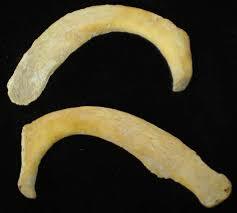 Other skulls showed possible evidence of animal teeth. Gladiators who entertained in the ancient sports arena—fighting each other or wild animals, often to death—were often slaves or persons of low social class whose lives were devoted to physical training and competitive combat. 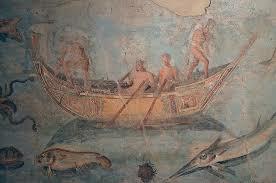 The ancient wall painting above illustrates how small fishing boats in the Roman world depended on young rowers, some of them children. In the 1990s, Dr. Luigi Capasso, an Italian archaeologist, identified the damage children could suffer in such an occupation when he analyzed an abnormally worn shoulder bone and joint of an 8-year-old child, likely a boy. The child had died in the town of Herculaneum as a result of the volcanic eruption of Mount Vesuvius, on August 24 in the year 79 of the Common Era (CE). This child was one of the many people whose body was buried (and preserved) under the blanket of ash that fell from the sky and covered the site for centuries. Think about how this child’s situation might have been similar to or different from Case 2 above, of workers in the Tell el-Amarna urban construction site. Imagine that the boy survived the volcanic disaster and grew up to adulthood. What do you think his health would have been like? 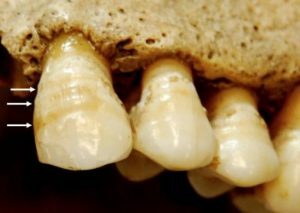 These teeth belonged to an adult who lived in medieval London. The horizontal grooves (indicated by arrows) are signs of linear enamel hypoplasia, or places where the tooth enamel formed defectively and is thinner than the enamel elsewhere on the tooth. This defect, seen here in an image by biological anthropologist, Dr. Sharon DeWitte, means that this person experienced physiological stress in early childhood, between ages six months and six years, that interrupted the growth of their bones and teeth. Such stress might be caused, for example, by famine or infection. (You might compare these grooves to looking at environmental change in the weather through studying tree rings). indicating deprivation in early life seemed to be more likely to die of famine later in adulthood. She came to this conclusion by comparing the dental evidence with evidence that she found of repetitive stress trauma to the leg bones of bodies in the same cemetery. Leg trauma likely happened due to infections during adulthood, accidents, or even putting excessive weight on the bones due to very hard work. She noted that the people with bone growths from stressors to the long (leg) bones seemed more resilient, more likely to survive famine and die later, of other causes. Both groups died as adults, but the group that experienced environmental stress in the medieval city of London as infants and children (affecting their teeth) were more vulnerable to health risks in adulthood. Infant and child mortality rates were very high in the ancient world. Even though archaeologists have uncovered many infants’ and children’s bones from the past, it is often impossible to know exactly how they died, but it was most likely from diseases related to malnutrition, bacterial diarrhea from dirty water, or environmental injuries. Several mass child burial sites found in ancient cities offer further clues to what the short life of urban children was like in the ancient world. Below are stories from three different locations. On the Greek island of Astypalaia, just outside the ancient classical city of Chora, excavators found the largest infant cemetery in the world. 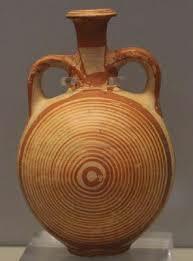 The “Kylindra” cemetery—named for the ancient clay cylindrical pots that served as caskets—contains the remains of more than 2,800 children buried between about the year 600 before the Common Era (BCE) into the Roman period. Most died at birth or soon after; all died before age 3. While most of the bones are too tiny and fragile to measure health status, the archaeologists and their students in the summer bioarchaeology field school continue to research the remains, including many baby teeth. In Jerusalem, more than 15,000 human skeletal remains were found in the sixth-century men’s monastery of St. Stephen inside the ancient city walls. Archaeologists were surprised that more than one-third of those interred were infants, children, or young adolescents. Bone isotope studies showed that children who died had been breastfed for more than a year, and weaned gradually. They were not malnourished. No one knows why so many infants and children were buried among the bones of this affluent men’s monastery; was it an orphanage? A place for healing? In the ancient Near East, sick and hungry poor often turned to religious communities for healing and medical care, but we don’t know if St. Stephen’s monastery was such a place. It is also possible that many were pilgrims and refugees, since many came to Jerusalem at this time due to war, invasion, and plague, often traveling extensively from place to place. ancient world. Were the people who found shelter in this ruined villa and their sick children urban refugees fleeing war and destruction? We will never know. 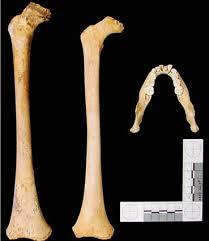 The photo at left illustrates the broken rib of one of the children who lived at Poundbury Camp, an urban settlement of Roman soldiers in Dorset, Britain, between the first and fourth centuries of the Common Era (CE). This break, says archaeologist Mary Lewis, who studies these bones, resulted from trauma. Learn more and view additional images: Rohnbogner A, Lewis ME. Poundbury Camp in Context—A New Perspective on the Lives of Children from Urban and Rural Roman England. American Journal of Physical Anthropology 2017; 162: 208-228.
elaborately embalmed after death, using expensive materials with their inner organs removed. Nakht’s burial process was much simpler: his body was simply placed in the sun along the Nile and left to dry, his inner organs intact. Nakht was about 5’5” tall, but his body, dehydrated, weighed only about 12 lbs. A high-technology radiograph of his body and autopsy published in 2014 provide insights into health conditions that Nakht lived (and died) with, and hint at what everyday life was like for this teenage laborer. outdoors, in a courtyard or on the roof. He would have had access to a diverse diet of healthy foods, which could have included milk, vegetables, eggs, spices, lentils, fresh and dried fruit, beer and wine, fish, and meat such as lamb and pork. Nakht’s autopsy revealed that he suffered from several ailments that probably made everyday life painful, uncomfortable, and sapped his energies. His liver, bowel, kidney, and bladder were infected with four different parasites, including schistosoma, tapeworm, trichinella (often caused by eating undercooked pork), and plasmodium falciparum, which causes malaria. Schistosomiasis, still common in Egypt today, can cause itching, fever, chills, pain, and muscle aches. Nakht also had pulmonary anthracosis, a condition caused by inhaling smoke (usually from cook fires or smoky fires related to one’s employment), resulting in carbon deposits on the lungs that make it hard to breathe. 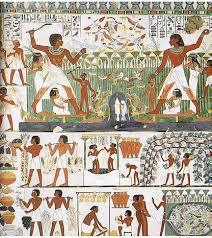 View images of Nakht, including his mummy and his carefully painted sarcophagus with his name and occupation. Kemp B et al. Life, Death and Beyond in Akhenaten’s Egypt: Excavating the South Tombs Cemetery at Amarna. Antiquity 2013; 87: 64-78, p. 71. Source: Kemp B et al. Life, Death and Beyond in Akhenaten’s Egypt: Excavating the South Tombs Cemetery at Amarna. Antiquity 2013; 87: 64-78. Walker PL et al. The Causes of Porotic Hyperostosis and Cribra Orbitalia: A Reappraisal of the Iron-deficiency-anemia Hypothesis. American Journal of Physical Anthropology 2009; 139(2): 109-25. http://onlinelibrary.wiley.com/doi/10.1002/ajpa.21031/full. 4 Rohnbogner A, Lewis ME. Poundbury Camp in Context—A New Perspective on the Lives of Children from Urban and Rural Roman England. American Journal of Physical Anthropology 2017; 162: 208-228. http://onlinelibrary.wiley.com/doi/10.1002/ajpa.23106/full. Source: Kemp B et al. Life, Death and Beyond in Akhenaten’s Egypt: Excavating the South Tombs Cemetery at Amarna. Antiquity 2013; 87: 64-78, the image here is on p. 73. Brooklyn Museum, Charles Edwin Wilbour Fund, 61.195.1. Creative Commons-BY (Photo: Brooklyn Museum, 61.195.1_SL1.jpg). Source: Kemp B et al. Life, Death and Beyond in Akhenaten’s Egypt: Excavating the South Tombs Cemetery at Amarna. Antiquity 2013; 87: 64-78, p. 72. All quotes in Case 5 are from: Capasso L, Di Domenicantonio L. Work-related Syndesmoses on the Bones of Children who Died at Herculaneum [correspondence]. The Lancet 1998; 352(9140): 1634. http://www.thelancet.com/journals/lancet/article/PIIS0140-6736(05)61104-X/abstract. Yaussy SM et al. Frailty and Famine: Patterns of Mortality and Physiological Stress Among Victims of Famine in Medieval London. American Journal of Physical Anthropology 2016. DOI: 10.1002/ajpa.22954. See also, Skeletal Marker of Physiological Stress Might Indicate Good, Rather Than Poor, Health. Science Daily 2016; May 2. University College London. Astypalaia Bioarchaeology Project. http://www.ucl.ac.uk/archaeology/research/projects/astypalaia. See also Clement A et al. The Ancient Cemeteries of Astypalaia, Greece. Archaeology International 2008; 12: 17-21. DOI: http://dx.doi.org/10.5334/ai.1205; and Martindale B. Kylindra Cemetery: Burials Reconstructing Birth? The Dead Remain: Child Jar Burials, Special Issue 2013; 1: 11-15. 1 See, e.g., Gregoricka L, Sheridan S. Food for Thought: Isotopic Evidence for Dietary and Weaning Practices in a Byzantine Urban Monastery in Jerusalem. In Perry M, ed. Bioarchaeology and Behavior: The People of the Ancient Near East. University Press of Florida 2012, pages 138-164; the most comprehensive report of the discovery of the children’s burials is Sheridan SG. New Life the Dead Receive: The Relationship Between Human Remains and the Cultural Record for Byzantine St. Stephen’s. Revue Biblique 1999; 106(4): 574-611. Soren D. The Children’s Cemetery of Lugnano in Teverina, Umbria: Hierarchy, Magic, and Malaria. In Coskunsu G, ed., The Archaeology of Childhood: Interdisciplinary Perspectives on an Archaeological Enigma. State University of New York Press 2015. Pages 235-250. See also: Soren D, Soren N, eds. A Roman Villa and a Late Roman Infant Cemetery: Excavation at Poggio Gramignano Lugnano in Teverina. Rome 1999. The malaria findings were published in: Shelton J. Creating a Malaria Test for Ancient Human Remains. Yale News 2015; Mar 17. http://news.yale.edu/2015/03/17/creatingmalaria-test-ancient-human-remains. Lewis ME. Life and Death in a Civitas Capital: Metabolic Disease and Trauma in the Children from Late Roman Dorchester, Dorset. American Journal of Physical Anthropology 2010; 142: 405-416. Rohnbogner A, Lewis ME. Poundbury Camp in Context—A New Perspective on the Lives of Children from Urban and Rural Roman England. American Journal of Physical Anthropology 2017; 162: 208-228; the percentage of cribra orbitalia is at page 218. See, e.g., Peden M et al., eds. World Report on Child Injury Prevention. World Health Organization, United Nations Children’s Fund 2008. http://apps.who.int/iris/bitstream/10665/43851/1/9789241563574_eng.pdf. He C et al. National and Subnational All-Cause and Cause-Specific Child Mortality in China 1996-2015: A Systematic Analysis with Implications for the Sustainable Development Goals. The Lancet 2017; 5(2):e18868-e197. DOI: http://dx.doi.org/10.1016/S2214-109X(16)30334-5. The data is based on government reports; it is not clear from the report what the most common accidents and injuries were, or how rural children’s living conditions differ from those of children in Chinese cities as it relates to safety issues. Clarke EM et al., Is Atherosclerosis Fundamental to Human Aging? Lessons from Ancient Mummies. Journal of Cardiology 2014; 63:329-334. DOI: http://dx.doi.org/10.1016/j.jjcc.2013.12.012. Originally published by Global Health Education and Learning Incubator (GHELI) under the terms of a Creative Commons Attribution-NonCommercial-NoDerivs 3.0 Unported license. This entry was posted in Ancient, Health, History, Urban. Bookmark the permalink.